If your file contains any inconsistencies, the insurance company may be more likely to terminate your long term disability benefits. For example, you tell the insurance company that you never grocery shop alone because of your disability, but your doctor reports you occasionally shop alone. The insurance company will be more likely to question the truth and validity of your other statements. Consistency is key. If your doctor estimates a date by which you can return to work, the insurance company may be more likely to cut off your long term disability benefits. For example, your doctor tells the insurance company your estimated return to work date is three weeks from now. The insurance company may be more likely to cut off your long term disability benefits in three weeks, unless it receives additional information before then. If your medical file shows even minor medical improvement, the insurance company may be more likely to terminate your long term disability benefits. For example, you suffer from debilitating pain and fatigue, but your medical records show your fatigue improved slightly since you started taking a sleeping pill. The insurance company may latch onto the lessening of your fatigue – even though you still have ongoing pain – to claim there has been “improvement” allowing you to return to work. If your doctor indicates that you are “malingering” or exaggerating your symptoms, the insurance company may be very likely to terminate your long term disability benefits. It can be extremely difficult to prove your doctor wrong and recover from this. For example, your doctor tells the insurance company that your symptoms are not nearly as severe as you claim. The insurance company could find that you’re not credible, and that you’re fabricating your symptoms just to get long term disability benefits. If your doctor mentions you were “burned out” or dissatisfied with your work, the insurance company may be more likely to cut off your long term disability benefits. For example, your doctor tells the insurance company you were struggling with increasing work stress and you have several arguments with your boss. The insurance company may claim you were never really disabled, and you went on long term disability simply because you didn’t like your job. If your file suggests non-compliance with your doctor’s recommended treatment plan, the insurance company many be more likely to terminate your long term disability benefits. For example, your medical records indicate your doctor recommended physical therapy, but you have yet to follow through with the recommendation. The insurance company may claim you are purposely avoiding treatment that might otherwise help you return to work. If your doctor omits a major diagnosis or symptom on one the insurance company’s forms, the insurance company may assume you no longer have that diagnosis or symptoms. For example, your doctor neglects to mention fatigue when completing a form. The insurance company may use this as “proof” that you don’t experience fatigue. If your policy limits the amount of benefits payable for a mental illness, the insurance company may ultimately terminate your benefits if your file suggests a disability due to a mental illness. For example, you are disabled from gastrointestinal issues, but your file suggests you recently started treating for anxiety and depression. The insurance company could claim you are only disabled from a physical standpoint, rather than a physical standpoint, and no more benefits are payable under the policy’s limitation. If your doctor checks boxes on the insurance company’s forms, your doctor could inadvertently indicate you can do more work than you’re capable of. For example, your doctor believes you can sit 5% of the day, so he checks a box that says, “Patient capable of sitting 1-33% of the day.” The insurance company could interpret this to mean you’re capable of sitting for up to 33% of the day. If your doctor tells the insurance company that you’re no longer disabled, the insurance company will be very likely to terminate your long term disability benefits. It can be extremely difficult to prove your doctor wrong and recover from this. For example, your doctor tells the insurance company that you are no longer disabled after undergoing experimental treatment. The insurance company may be very likely to terminate your long term disability benefits based on medical improvement. If your file reflects activities that seem inconsistent with your disability, the insurance company may be more likely to terminate your long term disability benefits. For example, you’re disabled because you suffer from extreme social anxiety and fear of people, but your file reflects that you frequently use public transportation and attend major league baseball games without issue. The insurance company may find that your activities are inconsistent with your alleged disability. 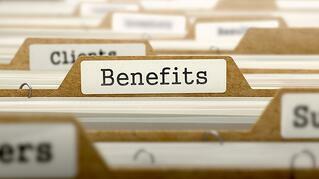 Your long term disability benefits are not guaranteed to continue. The insurance company can decide to terminate your long term disability benefits at any time. Being aware of the “red flags” likely to trigger further critique of your claim may help you avoid benefit termination. This list of red flags is not exhaustive, but it will help you understand the types evidence of insurance company will look for before terminating ongoing benefits.